Like Australia, the Kiwis have a classic design that has been used for most of their history with some minor exceptions and variations. Black and white is a stark but attractive colour scheme that undoubtedly represents New Zealand. The style of V is fairly unique in the Rugby League world, although the old Wests Magpies jerseys was similar (and in the same colours as well), regardless of this their overall design is unique in top flight football at present. The logo is simple and understated; a black shield with the Kiwi above the fern. Its fantastically simple and does its job perfectly in projecting “New Zealand”. The Kiwi itself is a bit rough in execution with the whiskers dominating the head. I know that Kiwis have these whiskers but they could do without them on the logo. I liked what the All Blacks had done recently, changing their white details to grey. It’s an ominous look for them and I wanted to do something similar for the Kiwis in part. The secondary elements (shorts/sock striping, manufacturer logo, player name and collar) are shown in a dark grey instead of the usual white. The double striping from the V is used on the shorts and socks as well as influencing the number style on the back. 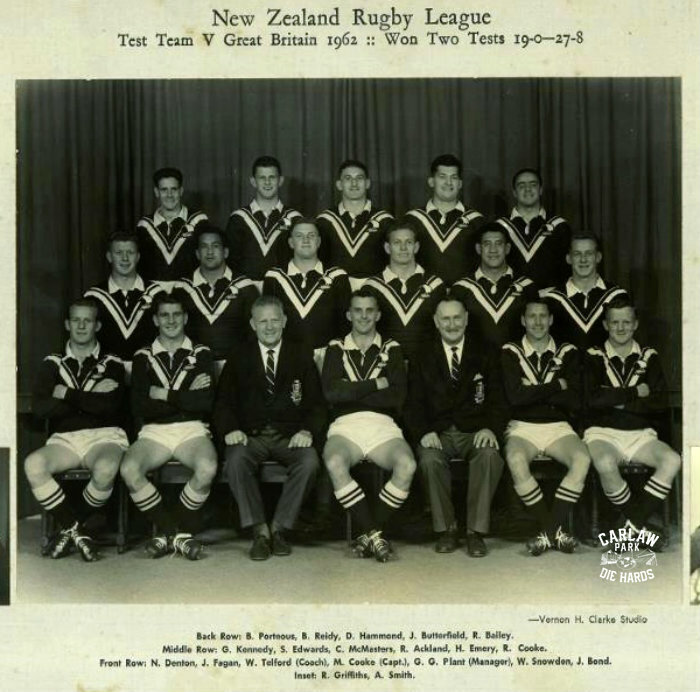 A subtle fern pattern Found online ) is contained above the double V. Like Australia, the Kiwis use the same jersey for all games with alternate shorts available for away games where there would be a clash. The kiwi logo was also tweaked to clean up the details a bit. Gaz, your work never ceases to amaze me. Keep up the good work mate. Hi mate, the designs look great. Which program did you use to create the renders?